LOUISVILLE, Ky. (AP) — No. 17 Kentucky’s impressive record and gaudy defensive statistics suggest it should be able to impose its will on struggling archrival Louisville. That doesn’t bode well defensively, even against Kentucky’s scoring-challenged offense. The Wildcats still feature one of the nation’s best backs in Snell, who has rushed for 1,205 yards and 12 touchdowns, and the Cardinals must show some improvement if they hope to compete. 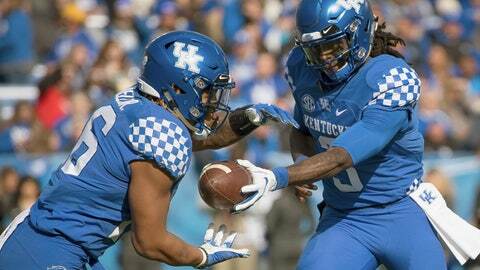 Their offense actually averages slightly more yards per game than the Wildcats (356.9-344.8). Snell needs 207 yards to break Sonny Collins’ record of 3,835 and is facing a Louisville run defense ranked 125th nationally at 277.6 yards allowed per game.